Erik Olin Wright was radicalized in the 1960s and remained a Marxist because his moral compass simply wouldn't allow him to drift away. With his death, the Left has lost one of its most brilliant intellectuals. 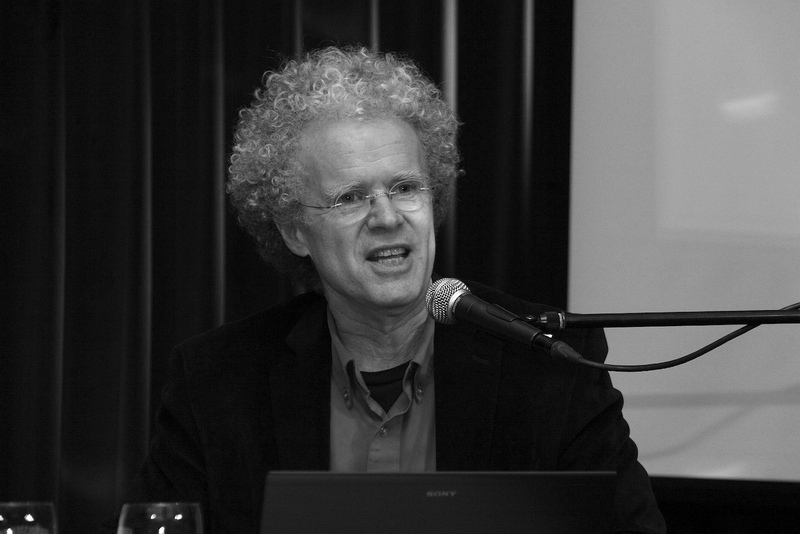 Erik Olin Wright passed away yesterday, just months after being diagnosed with advanced Leukemia. In the early days after his diagnosis, he had put the finishing touches on his book How to be an Anti-Capitalist for the Twenty-First Century, due to be released later this year. The book would surely not have been his last, had he lived. Though Erik was seventy-one, an age at which most academics’ thoughts turn toward retirement, he had no such intentions. “I plan to be ‘professing’ right till the end,” he used to quip. He was still incredibly active, churning out work, supervising PhDs, traveling, and lecturing. Even though he leaves us an enormous oeuvre spanning more than forty years, it is an agenda abruptly cut short. Those of us who knew and loved him have lost a dear friend. And the Left, showing signs of a revival after years of retreat, has lost one of its most brilliant intellectuals. Erik will be remembered as the most important theorist of class in the second half of the twentieth century, and the greatest Marxist sociologist of his time. Ironically, when he launched his PhD at the University of California Berkeley, his intention was to briefly clarify the status of class in Marxian theory, so that he could turn to his real interest, which was the theory of the state. But he quickly found that the matter would not allow cursory treatment. Working out its conceptual status, theoretical claims, and empirical predictions would take a bit longer — perhaps a few years, he thought. As it happened, it took four books, scores of articles, and a research team spread across several countries, all unfolding over the course of a quarter century. But by the time he moved to the next project, Erik had not only refined the concept of class better than any Marxist before him, he had forced the mainstream establishment to recognize its validity for the first time in the twentieth century. Even though he was often described as a “neo-Marxist” — an expression suggesting a departure from the classical tradition — Erik’s conceptualization of class was thoroughly orthodox. It rested on three central propositions. First, whereas mainstream theories see class as connected to income, Erik resurrected Marx’s view that it was a social relation premised on exploitation. Exploitation occurs when one group derives its livelihood from controlling the labor of another group. So it isn’t a person’s income that determines their class – it’s how they earn their income. Second, because class rests on the forcible extraction of labor, it is necessarily antagonistic. It requires the dominant class to undermine the wellbeing of the subordinate groups, which in turn tends to generate resistance from the latter. Third, this antagonism will, in certain conditions, take the form of organized conflict between the classes, or class struggle. But this formulation created the central puzzle for all Marxist class theories: how do we account for the middle class? If capitalism is an economic system in which there are exploiters and exploited, then what about the people in the middle, who seem to be neither of the two? A classic example is shopkeepers, or salaried professionals. Are they exploiters or exploited? Many Marxists responded in one of two ways. First, they suggested that capitalism itself would solve the problem of the middle class by getting rid of it. Some of Marx’s own formulations hinted at this: over time, people in this class would either sink down into the working class, or elevate themselves into the ranks of capitalists. The conceptual challenge had a time stamp on it. The second solution was to suggest that even though many people seemed to be in the “middle,” this was an illusion that disappeared upon closer inspection. If we looked more carefully, the argument went, most people in the “middle class” were really just workers — and a very small number were capitalists. So while the first position said that there would only be two classes at some point in the future, the other one claimed that there were just two classes right now. Either way, we end up with just two classes. Erik rejected both positions. First, it was clear that the middle class wasn’t a residual category, bound to disappear over time. Capitalism actively created the occupations we identify with that stratum — there would always be shopkeepers, middle-level managers, salaried professionals, etc. Second, even though it’s true that many “professionals” are just highly skilled workers, many are more than that. They have real authority over other workers, their income is only partly derived from wages, and they have genuine control over their own labor. Their power and choice sets seem qualitatively different from that of a wage laborer. So the middle class is real. The question is, how do we incorporate it into a Marxist framework? Erik’s solution seems simple, but it was profound. He defined the middle class as those groups that had elements of both classes in them — capitalist and worker. Shopkeepers share some qualities with capitalists, in that they own the means of production, but also with workers, in that they have to be active participants in the shop’s work. Middle managers have some powers of capitalists, in that they exercise power over workers, but like workers, they have no real control over investment decisions. Hence, Erik famously concluded that the middle class occupied contradictory positions within the class structure. What it meant politically was that this class was objectively pulled in both directions, toward labor and capital. Which way its members in fact went could not be predicted. It would depend on how politics and circumstances converged at any given time. Erik understood that even though Marxists treat class as a scientific concept, it has a normative underpinning. To say that capitalism rests on exploitation is to issue a moral indictment of the system. It enjoins us to work toward a society that doesn’t rest on the systematic subordination of one group by another, where the scope for individual development isn’t stifled by deprivation and insecurity. But as the twentieth century came to a close, many progressives had lost confidence in the possibility of such an alternative. There had been two sources of hope in the halcyon years of the Left. For many, it was the existence of the Soviet Union, which seemed concrete evidence that capitalism could be transcended. A second source of optimism came from within Marxism itself, in its theory of history, which seemed to promise that capitalism would sooner or later give way to a new economic system, just as the systems before it had yielded to more advanced forms of social organization. Both of these beliefs were in tatters by the fin de siècle. The Soviet model had not only collapsed, but its demise seemed to discredit the very idea of a post-capitalist society. And many, perhaps most, Marxists had come to regard orthodox Historical Materialism as a deeply flawed theory. Erik himself came to this conclusion in a long engagement with the theory, as developed by his close friend Gerald Cohen. There was no historical telos leading to a socialist future. Not only were large sections of the Left unsure of the possibility of socialism, it wasn’t even clear what sort of institutional design it would embody. Recognizing the debilitating effect this would have on political practice, Erik launched the next great project of his career, the Real Utopias series. The basic idea was simple. Marxists had historically followed Marx’s own disdain for detailed blueprints of the future society, which so often degenerated into utopian fantasies. But as Erik pointed out, this boilerplate rejection of social models was now a liability. If you ask people to sacrifice and risk for a better future, they need some idea of what they are fighting for, beyond a set of principles. They need to know what that alternative might be. The Real Utopias project was launched to generate concrete proposals for institutions that embodied socialist principles. It was utopian in the sense that the ideas were intended to be very ambitious, daring to think of social arrangements fundamentally different from capitalism. But they were anchored in reality by being based on actual experience within capitalism. The basic argument behind the project was laid out in his book, Envisioning Real Utopias. The project, however, much as the project on class structure before it, was collaborative and international. Over more than fifteen years, it generated a half-dozen edited volumes, each organized around a concrete proposal — for legislative reform, gender equality, workplace democracy, etc. — and involving participation by dozens of leading scholars. Erik’s immersion in, and development of, Marxist theory endured for a half century. He came to it in the late 1960s, when so many of his peers in universities were becoming radicalized. But even as his generation turned away from socialist politics and Marxist theory, he stayed on. What makes it all the more remarkable is that he did so with few of the social supports that one usually assumes in such cases. Erik was never in a political organization. He wasn’t sustained by a left intellectual milieu like the Socialist Register or the New Left Review. He wasn’t particularly active in local politics. Even his social circles were fairly typical of an elite American academic. Nothing in his social and intellectual context directed him to a decades-long commitment to Marxism. Erik’s stamina came from within — from a singular moral and intellectual integrity. He was one of those rare individuals who, once they recognize the truth of a proposition, simply cannot abandon it. He remained a Marxist because his moral compass would not allow him to drift away. It really was as simple as that. And precisely because of its simplicity, so astounding. Erik’s endurance drew on the sheer force of his personality, even while the gamut of social and political supports was not enough to sustain the commitment of so many of his generation. The same integrity shined through in his relation to his students. It’s something of a cliché to praise deceased academics for their dedication to teaching. But in Erik’s case, the description is not only true, it beggars belief. Over the course of his career, he supervised dozens of dissertations, on a bewildering variety of topics, by students from every continent. His commentary on any document handed to him was not just prompt, but often longer than the document itself. His ability to get to the core of an argument was astounding. He typically reformulated an argument better than its original form. Indeed, one of the great favors he did to his interlocutors was to lift their arguments to a higher and more exalted level, so that they were worthy of criticism. Erik lived an incredibly rich life, leaving behind an astonishing legacy. But it was much too soon for it to end. He was not even beginning to slow down, much less wind down. He was one of the happiest people I have ever met. If someone asked him how he was doing, I often heard him respond, “Well, I suppose life could be better, but I can’t imagine how.” As his cancer overtook him, he struggled to balance a realistic outlook with a sense of optimism — exactly as he had in his moral commitments. He was profoundly sad about his impending demise, but assured his family and loved ones that he wasn’t afraid. In one of his last blog posts, he refused to indulge in romantic fantasies about the afterlife and such. “I am,” he wrote, simply “stardust that randomly ended up in this marvelous corner of the milky way.” But this doesn’t quite get it right. True, most of us are just that. But a few, very few, are a little something more. Rest in peace, Erik.